It’s admittedly pretty incredible how systematically technologies manage to surpass expectations nowadays. From interactive emojis on your smartphone to solar panel roofing shingles, things are moving incredibly quickly as far as everyday tech available to the commercial user. Because of this, it’s no shock that even seemingly simple appliances like garage door openers are getting more advanced as we progress deeper into the 21st century. 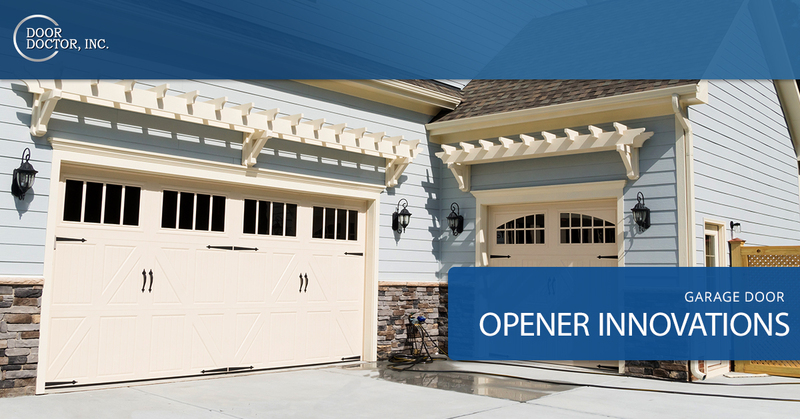 Since they’re our specialty, we’re pretty excited about the innovations and updates that garage door openers are starting to add to their general operation standards. The garage door systems we know and use in our homes now are, mostly, the same motorized mechanism that will close and pull your garage door open with the click of a button. Sometimes this button is on a smartphone or even just attached to switch or keypad, but it’s still essentially the same pulley system we’ve always known. The garage door opener was actually invented back in 1926, though it gained attention from commercial consumers. As you know it, it’s actually less of a pulley and more of a counterbalance system. It uses springs attached to the door, the torsion springs, lift and close the door. The opener merely controls how far open the door comes open. They also ensure that the same garage door remains tightly closed. Before the openers started getting more advanced, the garage doors did. 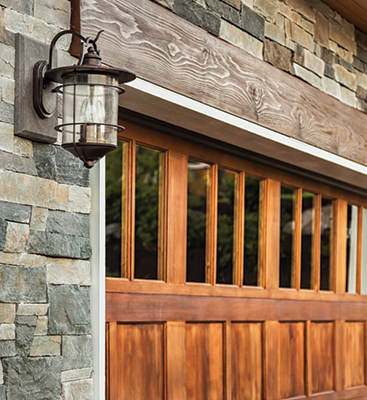 Nowadays, there are garage doors that look just like wood but are made of extremely energy efficient materials. Various doors have advanced to provide better safety, style and energy saving, but to accompany the updated doors, there needed to be updated openers to make the new line of products truly appealing. In recent years, the new technology applied to garage door openers has made them measurably safer and has turned the garage door into a viable main entry point. In fact, it’s started to look more like an addition to a home security system, more than a means for opening and closing your garage door with ease. There’s been a rush to produce battery operated garage door openers that can recharge themselves off of the house’s current. It means if the power, for whatever reason, goes out you can still get in and out of the house with ease. It can also keep the garage door shut if you’re still inside the house. Most of them can operate, on-demand, anywhere there’s internet connection. With your smartphone you can turn on the garage door’s light and open or close it, even with the rest of the house plunged into darkness at a power outage. Even if you didn’t install a fancy, posh door right off the bat, you can jimmy rig remote controls through your smartphone as an afterthought. The piece of tech is called the Chamberlain MyQ and as long as your garage door opener is compatible, it’ll allow you to download an app and control your garage door opener anywhere it’s convenient. Be sure your WiFi signal at home can easily reach your garage door opener, you can even contact Door Doctor to help you install the sensor for the door and then your new, higher-tech door will be fully operational and raring and ready to impress all of your guests with. The device has two parts, one mounted on the door and one mounted on the sensor of the garage ceiling about the opener. The sensor on the door helps the sensor detect if the door is opened or closed. The remote opener is a battery-powered addition to the kit that will be accompanied by installation instructions. 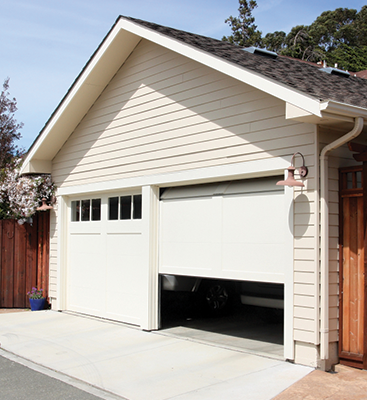 The smartphone app-controlled garage doors allow for easy security for your garage door. If you leave the garage door open, it’ll send you an alert and you can immediately close it. If you want to let the babysitter into the house without much fuss, it’s just a button press away. If you’re interested in letting the dog sitter into the house while you’re off in Europe, just get near a wifi hotspot. If, for any reason, you’re watching how much the garage door gets opened throughout the night, perhaps if your teenager is left alone, then you can keep a log of the activity coming in and out of the house. You can even determine how long your garage stays open on average so that if you drive off, it can close itself for you. If you’re in need of garage door installation in Cape Coral reach out to Door Doctor. 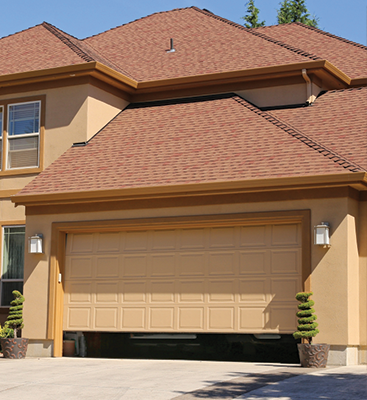 We offer the highest tech garage door openers on the market. Don’t hassle with trying to figure out how to install the door opener, just let us handle it for yours. Contact us to get your new garage door opener ready for use now.